AUMA’s compact electric actuator ranges offer precise, robust and reliable flow control solutions for chemical, food and other industries. Applications include demanding temperature control systems, for example preheating and cooling systems, and fluid metering duties. AUMA offers two families of compact actuators: Basic Range and Smart Range. Both ranges are designed for harsh industrial environments. Their compact design makes them ideally suitable for space constraints and small valves. The Basic Range comprises SBA linear actuators and ED/EQ part-turn actuators. They offer simple control and essential functions as well as feedback signals, paired with robust design. SBA linear actuators provide high positioning accuracy and are suited for modulating applications. The Smart Range includes SDL/SDG linear actuators, SVC globe valve actuators and SGC part-turn actuators. All have variable-speed motors that provide soft starts and stops, ensuring gentle treatment of mechanical components. 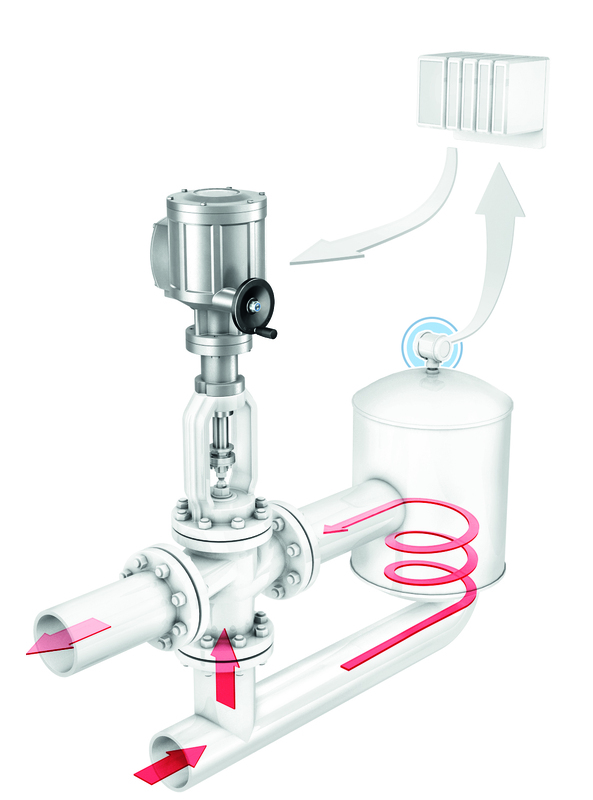 Variable-speed operating profiles help to avoid critical pressure surges and cavitation. Parameters can be set via software, and both Modbus RTU and Profibus DP interfaces are available. SDL/SDG linear actuators feature low energy consumption, making them particularly suited to remote sites and solar PV systems. They are also insensitive to voltage fluctuations. AUMA’s compact linear actuators cover thrusts of 0.6-25kN and strokes of 35-300mm. Part-turn actuators are available for torques of 25-1,000 Nm. Globe valve actuators offer torques of 10-100 Nm, with strokes from 60-70mm.